The 100% Synthetic ScrapeFix Combo Pack is your perfect weapon to get more trail camera pictures during pre-rut, rut and post-rut. 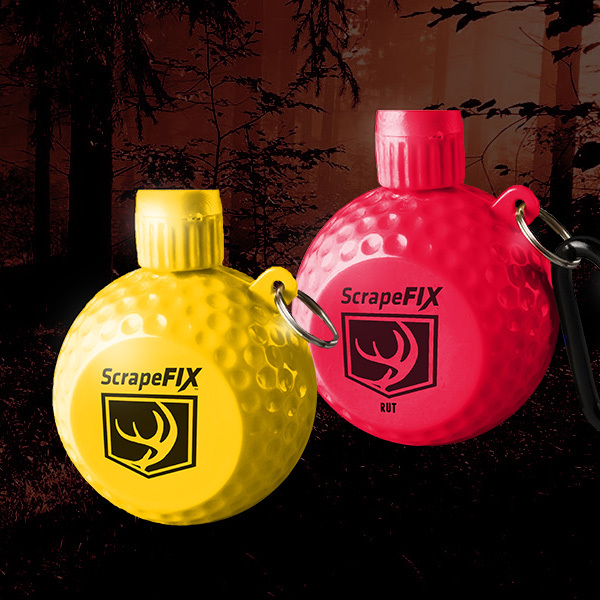 In combination with ScrapeFix, two additional puffs of ScrapeFix Rut is the most effective and simple way to inventory your deer without having to use bait and/or minerals. The 100% Synthetic powder based Rut formula is used during pre-rut, rut and post rut. Using in conjunction with ScrapeFix, add the Rut formula to your Mock Scrapes to entice cruising bucks to believe there is a mature doe in the area who is ready to breed. And to antagonize the other bucks in the area to keep visiting the sites frequently to see what competition has been there.